I’ve always been a big fan of batter. Cookie dough, cake batter, all forms. I often do so much tasting while baking, that by the end, I don’t want to eat the end result. Well, I have a solution: make the end result taste like the batter. 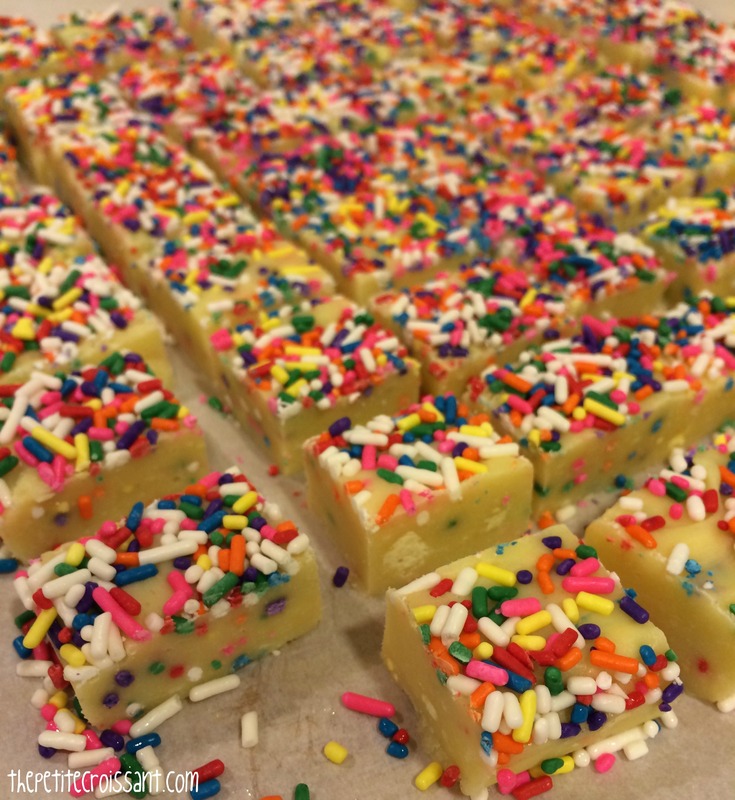 Introducing Cake Batter Fudge! It truly tastes like cake batter and looks so much fun. I generally don’t make anything that involves cake mixes because I like to make things from scratch, but I needed a quick dessert to pull together after working all day for a sangria and dessert cocktail party. And this recipe was perfect! Also, sorry for the lack of posts on the blog the last week. Between the puppy, school, and wedding planning, I’ve been just a bit busy. The next couple weeks are going to be even crazier so I’m going to take a short break, but I’ll get back to my usual posts as soon as I can. 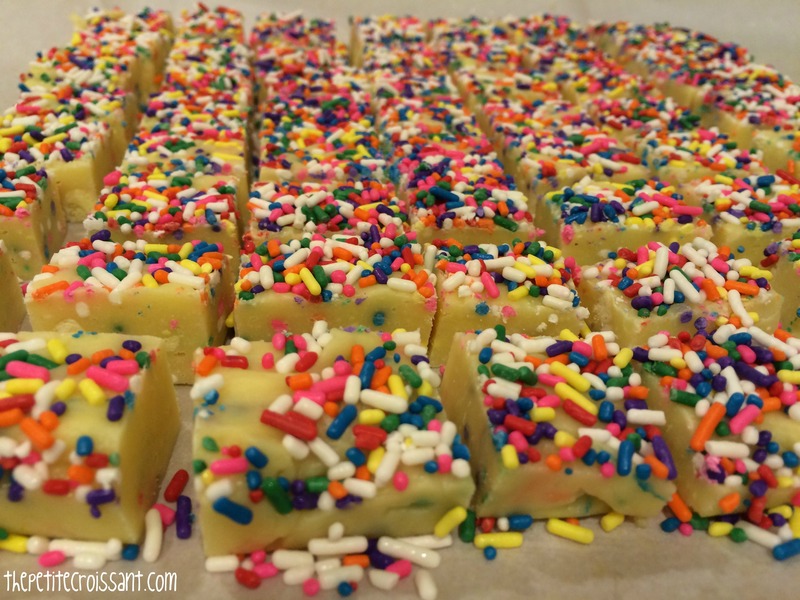 In the meantime, make yourself some cake batter fudge! 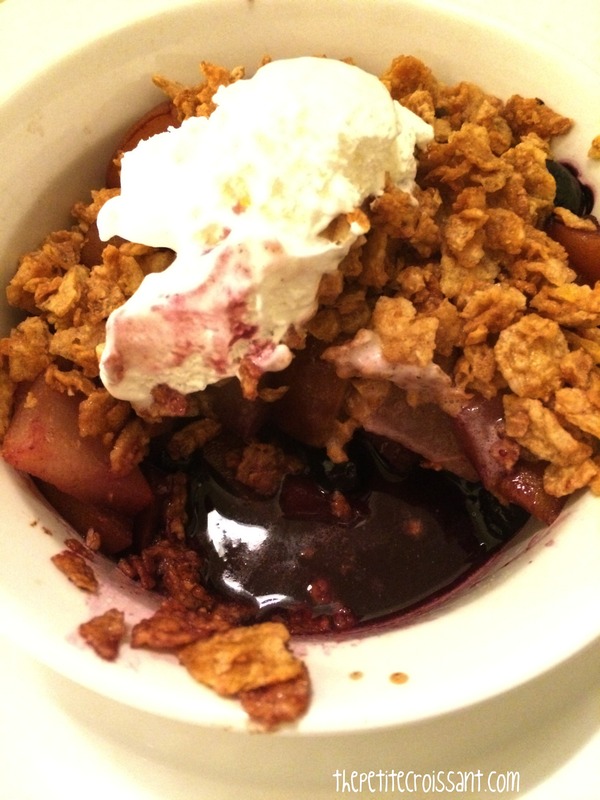 As I’ve mentioned before, I am usually hesitant about making “healthy” desserts because if I’m going to have dessert, I want it to be delicious. But I decided to try these because they involve peanut butter and maple syrup, two things I love. And while you can tell these are not the usual cookies, they are still so great, especially if you’re trying to cut back on the super indulgent desserts after all the candy and chocolate you likely ate for Valentine’s Day! 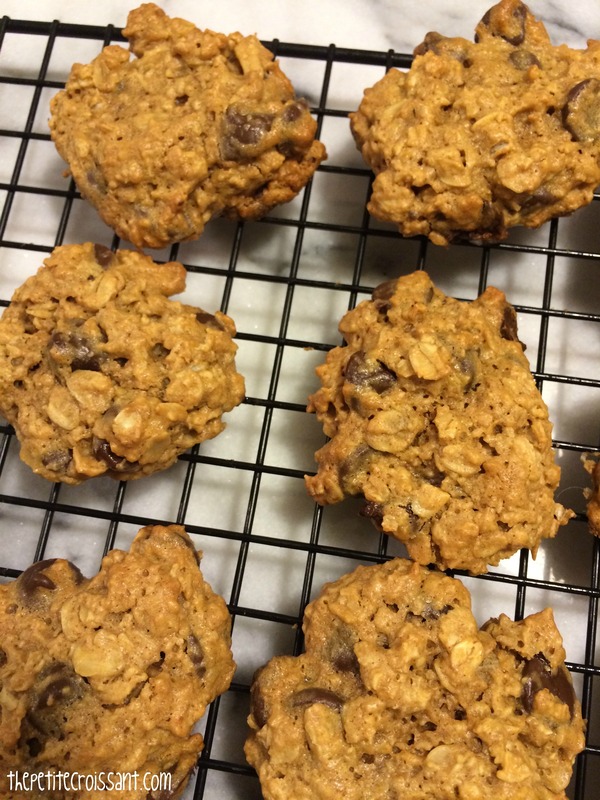 I love oatmeal raisin cookies, but sometimes it’s fun to change them up slightly. 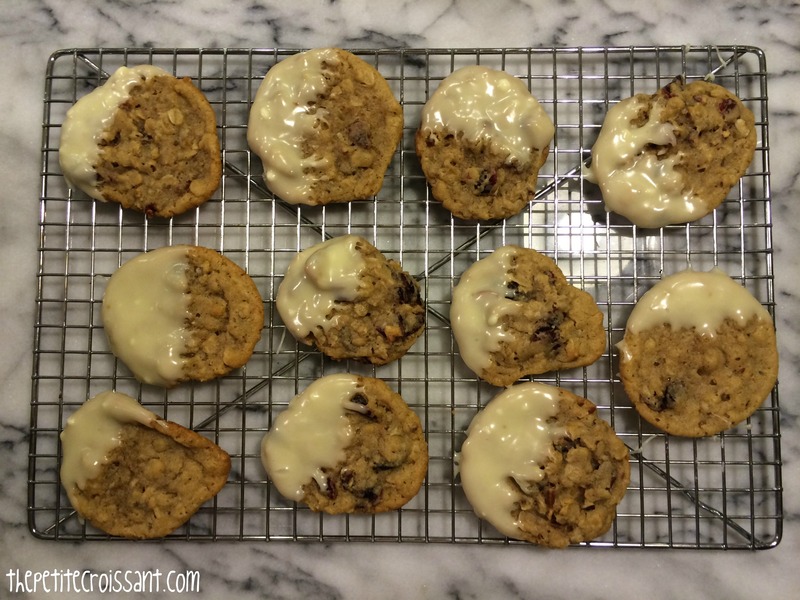 These are delicious with the sour cranberries, pecans, and the extra white chocolate. Plus with the red and white they’d be perfect to make for friends or family for Valentine’s Day! 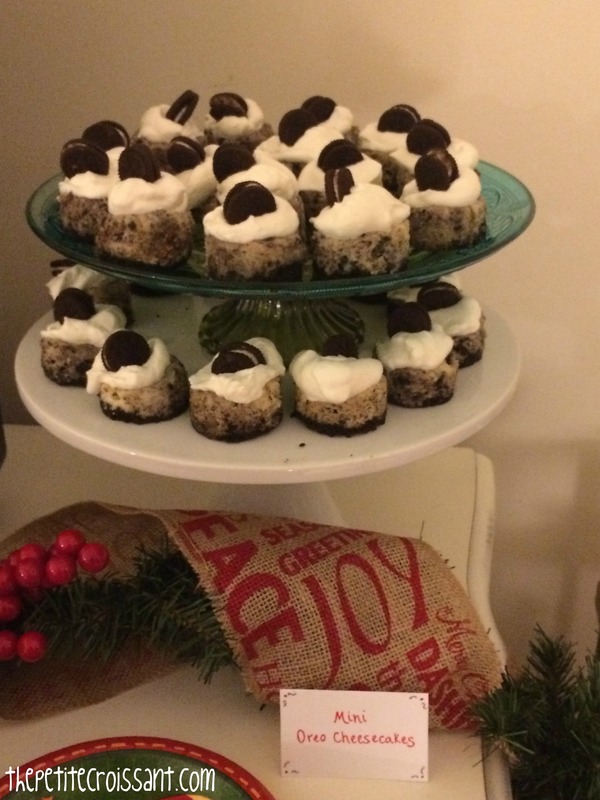 So each year for our holiday party, I like to find as many delicious recipes for mini food and mini desserts as possible. Last year’s mini eggnog cheesecakes were a big hit, so I thought I would do another mini cheesecake. I settled on this mini Oreo cheesecake recipe because they looked so cute with the small Oreo on top. Warning: As I mentioned last year, mini cheesecakes are not exactly an easy dessert to make. The recipe isn’t too complicated, but they’re time consuming. But trust me, these taste delicious so they’re probably worth the extra effort! 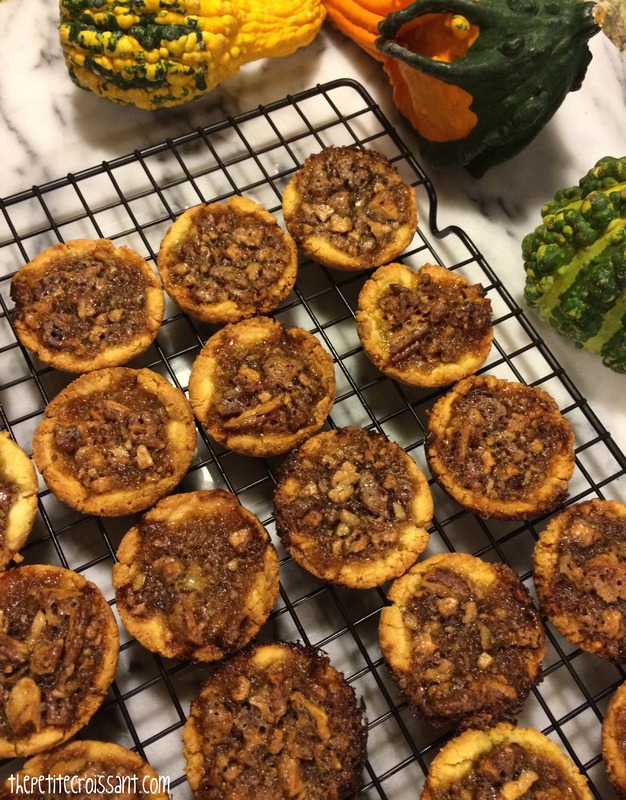 If you’re starting to plan your Thanksgiving menu, be sure to add these to the list. I made them for a friend’s birthday recently, and will be making them again for Thanksgiving because they were so good (and so easy). As a result of the upcoming finals season, this post will be the last until I come out on the other side (and am then officially half way done with law school). I will be back in mid-December. Happy holidays everyone! If you’re like me, you can eat Nutella by the spoonful straight from the jar. But sometimes, it’s fun to eat it in a slightly more socially acceptable form. So turn it into a frosting and then put a large dollop between two chocolate chip cookies. 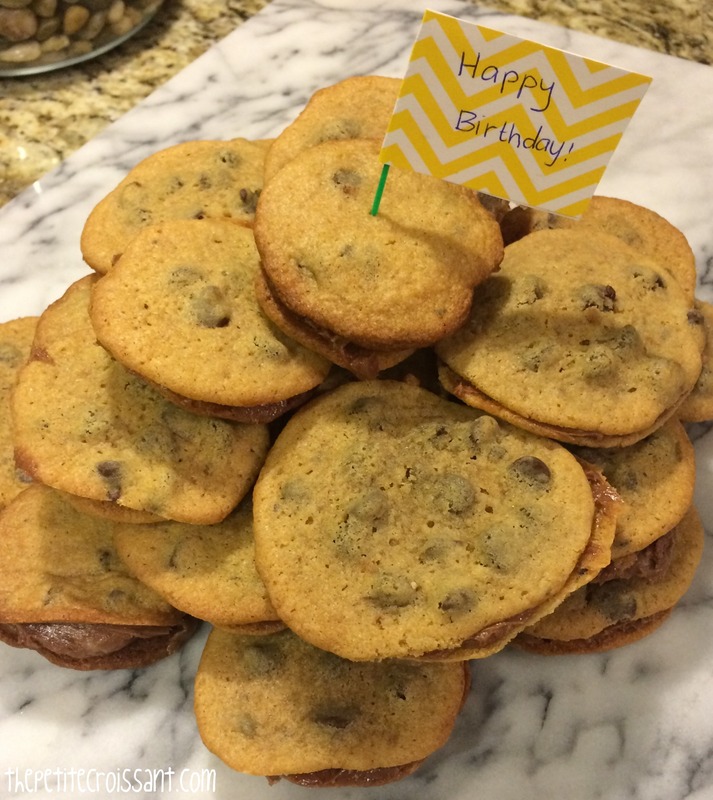 I made these and piled them up to create an unconventional “birthday cake.” But these would also be great for any upcoming holiday parties you have.